Pears are not just for poaching in red wine and turning out luscious desserts. They can also be thrown into smoothies. Because of their delicate flavour that doesn’t dominate others, pears can be combined with almost any fruit, but I found they went particularly well with berries, mango and apple. 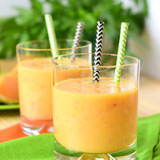 When I started adding pears to my smoothies, I was amazed at how many different pear smoothie recipes I could create. Pears also make a great smoothie base and can be used the same way as bananas and avocado. 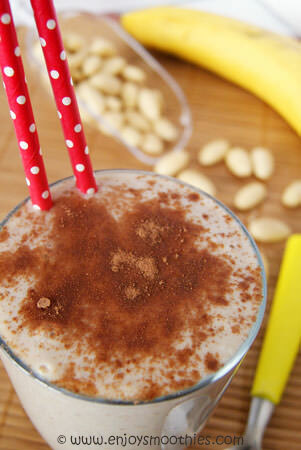 They have this wonderful magical ability to create smoothies with a creamy, silky texture. Pears are a great source of fiber, in fact they deliver almost a quarter of our adult daily requirement. Not only that, they are also low in sugar and contain a wealth of vitamins and minerals. When buying look for fruit that’s relatively soft, with no blemishes and a sweet aroma. How do you tell if a pear is ripe? Press gently near the stem with your thumb, the pear should give slightly. If your pear is soft all over, particularly on the bottom, fattest part, it means the fruit is overripe. But even though it might be too ripe for eating, it can still be used in a smoothie. But don't squeeze too hard, pears bruise easily. 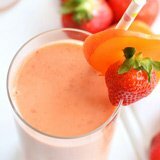 Which varieties are best for smoothies? Juicy varieties such as Bartlett, Comice, Seckel and Bosc are the best. When adding to smoothies, just remove the seeds and the stem. There is no need to peel them. Why waste all that valuable fiber. Pears are often sold before they are fully ripe. To ripen place in a brown paper bag at room temperature and leave for up to three days. When ripe, pears can be stored in the crisper section of your refrigerator for three or four days. Pears are one of the few fruits that I would recommend not freezing. Place pear, banana, almond butter and almond milk into a blender and blitz on high until your smoothie is thick and creamy. Pour into a glass and sprinkle over some cacao powder. This recipe only makes one glass. Just double the recipe if making for two. 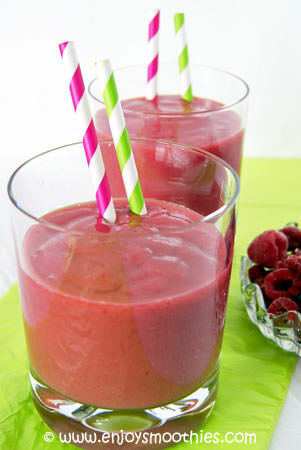 Place pear, raspberries, banana and almond milk into a blender. Start on low then increase speed and blend until smooth and creamy. Then pour into 2 glasses. 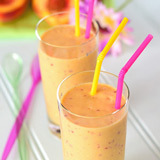 Place pear, mango, yogurt and almond milk into a blender jug. 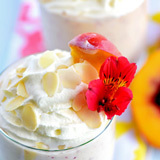 Blend on high until all the ingredients are well blended and become thick and creamy. Makes one glass. 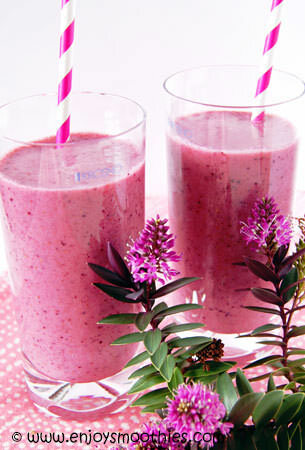 In a blender combine the pear, frozen mixed berries, apple juice and vanilla yogurt. 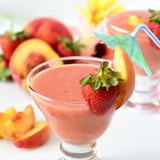 Blend on high speed until smoothie and creamy. 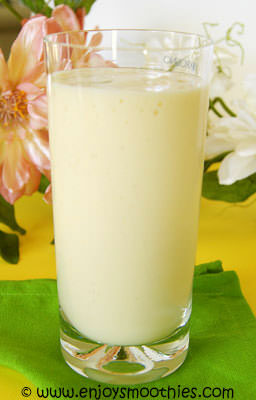 In a blender, combine the pear, kiwi fruit, banana, vanilla yogurt and almond milk. Blitz on high until all the ingredients are smooth and creamy.